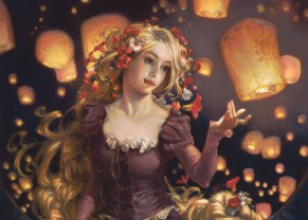 Rapunzel is a fairy tale title character originating in Europe, well known from the collections of the brothers Jacob Grimm and Wilhelm Grimm. 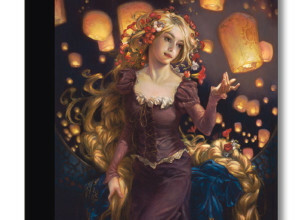 She is a young girl that is confined in a tower by her "mother" Dame Gothel. 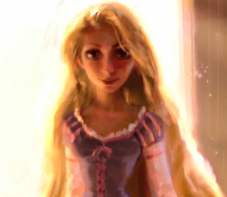 Rapunzel is very beautiful and possesses extremely long, beautiful hair that she throws out her window of the tower so that Gothel can climb up and enter the tower. 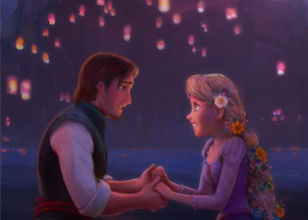 Rapunzel eventually meets her prince and escapes the tower and Dame Gothel. 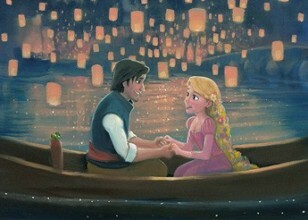 She appears in the Pixar animated film, Tangled. 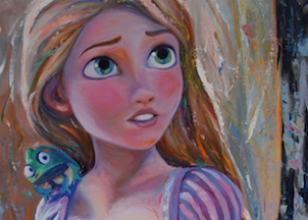 In the film, her hair possesses powerful, magically healing properties, which why Gothel keeps Rapunzel imprisoned in her tower. 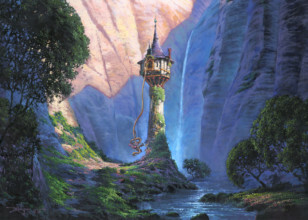 Living alone in her tower has left Rapunzel with a innocent, naive personality, leaving her extremely optimistic and cheerful, even in dangerous situations. 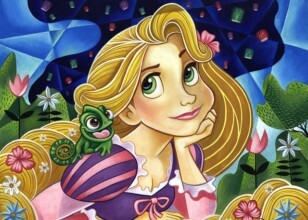 She longs to leave her tower and experience the world, having grown extremely bored of her small isolated world.